Ethereum mining isn’t just responsible for making it impossible to buy a new GPU, it’s also currently estimated to be using more electricity than Cyprus. That’s right, the whole of Cyprus. According to Digiconomist’s real-time index their estimates have total Ethereum mining currently requiring over 4.5TWh a year of energy, more than the sum of all electricity consumed on the mouflon-heavy island. This number has risen from an estimated ~3.2TWh a year in early June as more people catch on to the mining craze. 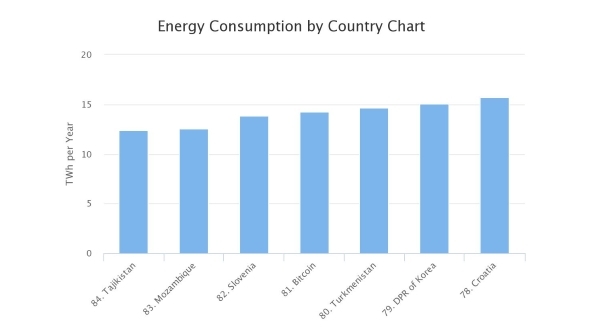 It’s not just Ethereum that’s soaking up the juice: Bitcoin mining pulls a colossal 14.2TWh per year and ranks above Mozambique and Slovenia on Digiconomist’s Energy Consumption by Country Chart. That’s a hell of a lot of electricity. AMD and Nvidia won’t talk about cryptocurrency mining… and that’s a worry for gamers. Unlike Bitcoin, though, Ethereum is mined using a PC’s GPU, a component found in people’s home setups, meaning amateur miners can get in on the action. This and the price-per-coin jump from $10 at the start of 2017 to $300 has led to Ethereum’s meteoric rise, as amateur and pro miners alike have bought up every GPU that’ll do a decent job of mining. 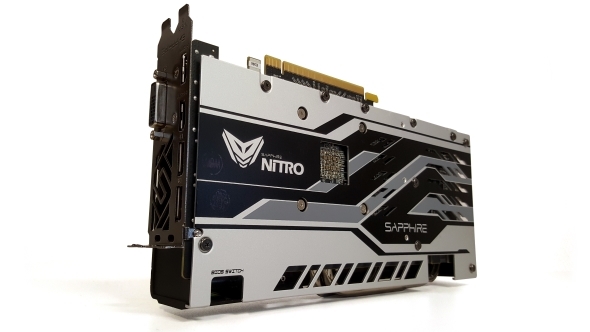 This has left us gamers somewhat adrift, and GPU manufacturers scrambling to make cards that satisfy the demand. 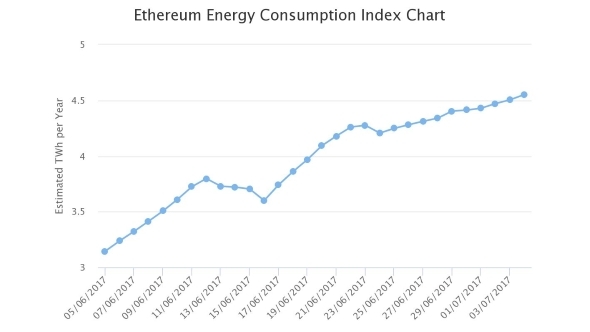 The amount of energy used for Ethereum mining is still climbing, and there’s no way of telling what consumption it’ll top out at. However, there’s potential for Ethereum to become more energy efficient – they’re talking about switching out their current algorithms for less energy intensive ones, although that’s not been implemented yet. Combined with Bitcoin, the two currently use more energy than Syria and Iceland. Who knows how far it’ll go?